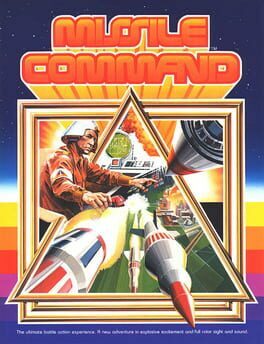 As a regional commander of three anti-missile batteries, the player must defend six cities in their zone from being destroyed. 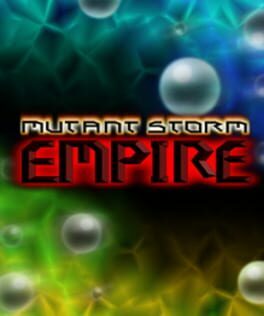 The player's six cities are being attacked by an endless hail of ballistic missiles, some of them even splitting like multiple independently targetable reentry vehicles (MIRVs). New weapons are introduced in later levels: smart bombs that can evade a less than perfectly targeted missile, and bomber planes and satellites that fly across the screen and launch missiles of their own. The player controls an aircraft, referred to in the game as a "Jet," and has to guide it across a scrolling terrain, battling obstacles along the way. The ship is armed with a forward-firing weapon and bombs; each weapon has its own button. The player must avoid colliding with the terrain and other enemies, while simultaneously maintaining its limited fuel supply which diminishes over time. More fuel can be acquired by destroying fuel tanks in the game. The game is divided into six sections, each with a different style of terrain and different obstacles. There is no intermission between each section; the game simply scrolls into the new terrain. Points are awarded based upon the number of seconds of being alive, and on destroying enemies and fuel tanks. In the final section, the player must destroy a "base". Once this has been accomplished, a flag denoting a completed mission is posted at the bottom right of the screen. The game then continues by returning to the first section once more, with a slight increase in difficulty. It's a nightmare, but it's true! Research shows that we are the actual aliens on Earth, and the ruthless Xevions are the original inhabitants. 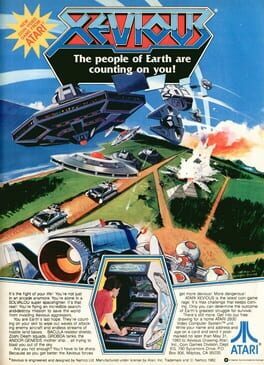 Now the Xevions want Earth back -- minus humans! Their invasion forces are fierce -- the land is crawling with deadly Domogram Rovers; the sky is black with Toroid Patrol Fleets and Zoshi Death Squads. Our puny weapons offer no defense. Earth's only hope is our powerful new Solvalou Fighter Plane. Its pilot will have a single mission: Penetrate the enemy ranks and destroy the Xevious Mother Ship. The mission is dangerous. We can't guarantee success. But at this point, it's do or die! One small problem. We still need a pilot. Any volunteers? 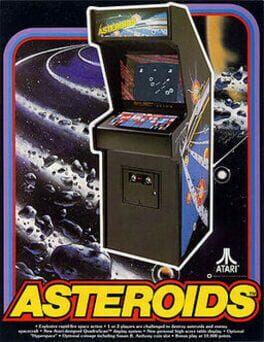 Asteroids is an arcade space shooter released in November 1979. The player controls a spaceship in an asteroid field which is periodically traversed by flying saucers. 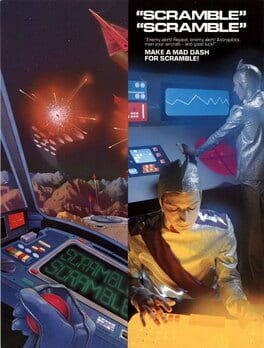 The objective of the game is to destroy both, asteroids and saucers. The triangular ship can rotate left and right, fire shots straight forward, and thrust forward. Once the ship begins moving in a direction, it will continue in that direction for a time without player intervention unless the player applies thrust in a different direction. The ship eventually comes to a stop when not thrusting. The player can also send the ship into hyperspace, causing it to disappear and reappear in a random location on the screen, at the risk of self-destructing or appearing on top of an asteroid. Super Contra is a Run and Gun-style action game produced by Konami, originally released as a coin-operated arcade game in 1988. 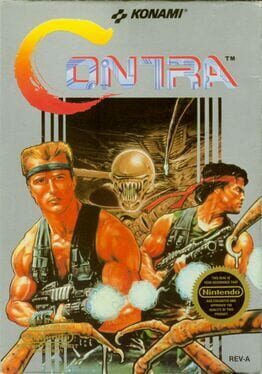 It is the sequel to the original Contra and the second game in the Contra series released for the arcades. 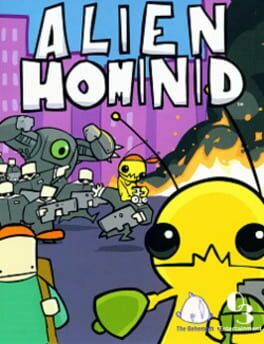 Like in the original game, the game centers on soldiers Bill Rizer and Lance Bean, who are once again assigned to protect the Earth from an army of alien invaders. The game features standard side-scrolling stages, as well as all new overhead stages in lieu of the original game's "3D" stages. 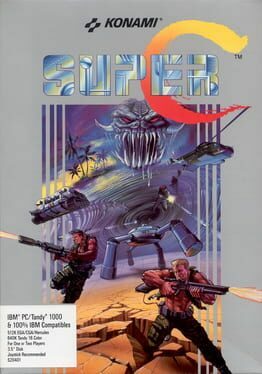 Like its predecessor, a modified console version was made for the Nintendo Entertainment System, which saw release in North America as Super C and in Europe and Australia as Probotector II: Return of the Evil Forces. Both the arcade game and the NES game, have been re-released in various other platforms since their original releases. 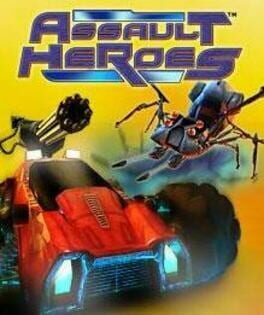 Assault Heroes is an arcade-style scrolling dual-joystick shooter where the player drives 4x4s or speedboats, sometimes moving around on-foot. Like most dual-joystick shooters, one stick controls the movement of the player while the right stick directs your gunfire. 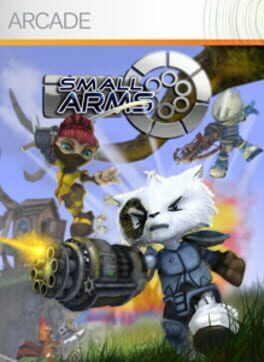 The objective of the game is to progress through each level, defeating enemies and huge bosses. Vehicle and player health slowly regenerate, while vehicles can be instantly repaired with a special pick-up item. Once your vehicle is destroyed, you run around on foot. You're limited to a weak machine gun, but get double points for destroyed enemies. Once you lose all your health, you lose a life. After about 10 seconds of being on foot, your vehicle respawns. In 2084, man creates a species of super-advanced cyborgs known as Robotrons. Recognizing the imperfect nature of their creators, the Robotrons conclude that the inefficient human race must be exterminated. 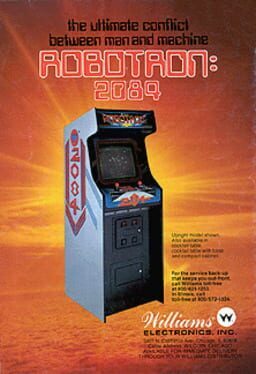 In Robotron: 2084, only you and a single family of clones remain. If mankind is to survive, you must destroy the Grunts, Brains, Enforcers, and Tanks - but avoid the indestructible Hulks at all cost. Can you withstand wave after wave of android invasion and rescue Mommy, Daddy, and Mikey... before it's too late? 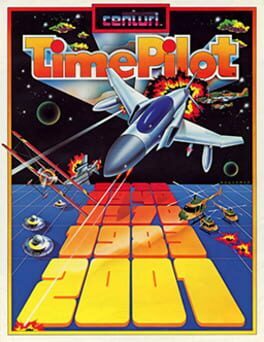 Time Pilot is a multi-directional scrolling shooter and free-roaming aerial combat arcade game designed by Yoshiki Okamoto, released by Konami in 1982, and distributed in the United States by Centuri. Debuting in the golden age of video arcade games, it is a time travel themed game that allowed the player's plane to freely move across open air space that can scroll indefinitely in all directions. The Killer List of Videogames included Time Pilot in its list of top 100 arcade games of all time. The player assumes the role of a pilot of a futuristic fighter jet, trying to rescue fellow pilots trapped in different time eras. The player must fight off hordes of enemy craft and defeat the mother ship (or "boss") present in every level. The background moves in the opposite direction to the player's plane, rather than the other way around; the player's plane always remains in the center. 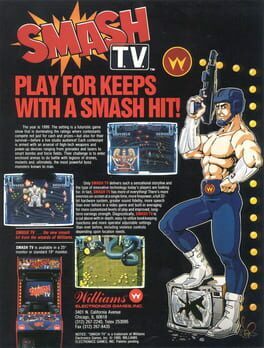 Smash TV is a 1990 arcade game created by Eugene Jarvis and Mark Turmell for Williams. Home versions were developed for various platforms and most were published by Acclaim Entertainment. The objective of Galaga is to score as many points as possible by destroying insect-like enemies. The player controls a starfighter that can move left and right along the bottom of the playfield. Enemies swarm in groups in a formation near the top of the screen, and then begin flying down toward the player, firing bombs at the fighter. The game ends when the player's last fighter is lost, either by colliding with an enemy or one of its bullets, or by being captured. 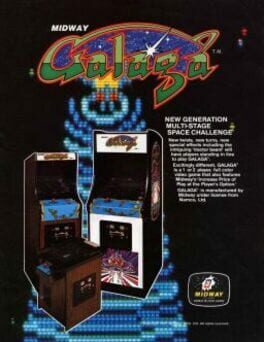 Galaga introduces a number of new features over its predecessor, Galaxian. Among these is the ability to fire more than one bullet at a time, a count of the player's "hit/miss ratio" at the end of the game, and a bonus "Challenging Stage" that occurs every few levels, in which a series of enemies fly onto and out of the screen in set patterns without firing at the player's ship or trying to crash into it. These stages award a large point bonus if the player manages to destroy every enemy. Another gameplay feature new to Galaga is the ability for enemies to capture the player's fighter. While the player is in control of just one fighter, a "boss Galaga" (which takes two shots to kill) periodically attempts to capture the fighter using a tractor beam. If successful, the fighter joins the enemy formation. If the player has more lives remaining, play resumes with a new fighter. The captured fighter flies down with the enemy that captured it, firing upon the player just like normal enemies, and can be shot and destroyed. The player can free the fighter by destroying the boss Galaga while in flight, causing the captured fighter to link up with the player's current fighter, doubling his or her firepower but also making a target twice as large. Galaga has an exploitable bug that can cause the attackers to stop firing bullets at the player, due to a coding error. In addition, similar to the famous "Split-Screen bug" in Pac-Man, a bug exists in Galaga in which the game "rolls over" from Level 255 to Level 0. Depending on the difficulty setting of the machine, this can cause the game to stall, requiring that the machine be reset or power-cycled in order to start a new game. Contra (魂斗羅 Kontora), known as Probotector in Europe and Gryzor in Oceania, is a 1987 run and gun action game developed and published by Konami originally released as a coin-operated arcade game on February 20, 1987. A home version was released for the Nintendo Entertainment System in 1988, along with ports for various computer formats, including the MSX2. The home versions were localized in the PAL region as Gryzor on the various computer formats and as Probotector on the NES, released later. Several Contra sequels were produced following the original game. Heavy Weapon: Atomic Tank unleashes adrenaline-soaked side-scrolling shoot-'em-up arcade action. 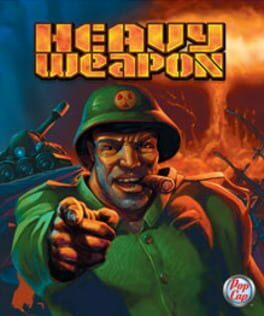 With a blast of retro eighties videogame chic, Heavy Weapon brings classic shooter action and explosive power. Fight through 19 story-based missions to upgrade six different weapon banks, or jump into instant action with the blazing Survival mode. Grab your friends and storm across enemy lines in co-operative multiplayer modes! Are you ready for the furious fun of Heavy Weapon? They've got your spaceship and you will blow up anything in your path to get it back. Completely hand-drawn high-definition graphics, coupled with old-school game play, results in ultimate mayhem and hours of fun! And arcade Shoot'em/beat'em up/platformer. You plays as various humanoids that battle each other in arena combat. 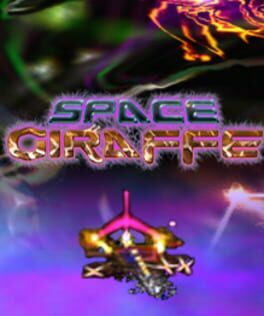 Space Giraffe is an abstract action arcade style game that takes place in a succession of beautiful environments generated by an advanced graphics synthesizer. It presents itself as a shooter but the more you play the more you discover the hidden depths and strategies that make the gameplay satisfyingly rich and rewarding. This is the boldest evolution of the trance-shooter, created by the company that helped to define the genre with the groundbreaking Tempest 2000. 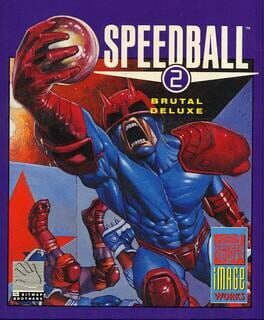 Speedball is a futuristic football-like game which takes place on a steel walled floored pitch, 160 feet long by 90 feet wide. There are two teams, and the team scoring the most goals wins. There is a goal at each end of the pitch and a ball warp tunnels in each side of the wall. The warp tunnels can warp a ball from one tunnel to another. The ball is launched from the center of the pit by the automatic launcher in a random direction. There also bounce domes, off of which the ball will be deflected, but over which players are free to move. This version of the game comes with a much better VGA graphics and Sound Blaster sounds. The game-play is also greatly enhanced. 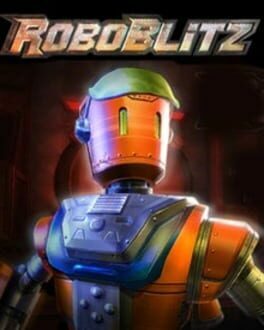 RoboBlitz is a humorous, physics-based action game full of inventive gizmos, weapons, characters, and environments. Players take on the role of Blitz, a multi-talented robot who must activate an aging Space Cannon to save his world from a band of maladjusted space pirates. 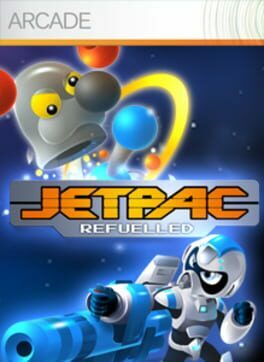 Jetpac Refuelled is the Xbox Live Arcade reworking of the classic 8 bit title Jetpac. The game was developed by Rare, who were responsible for the original game under their previous guise 'Ultimate - Play the Game'.